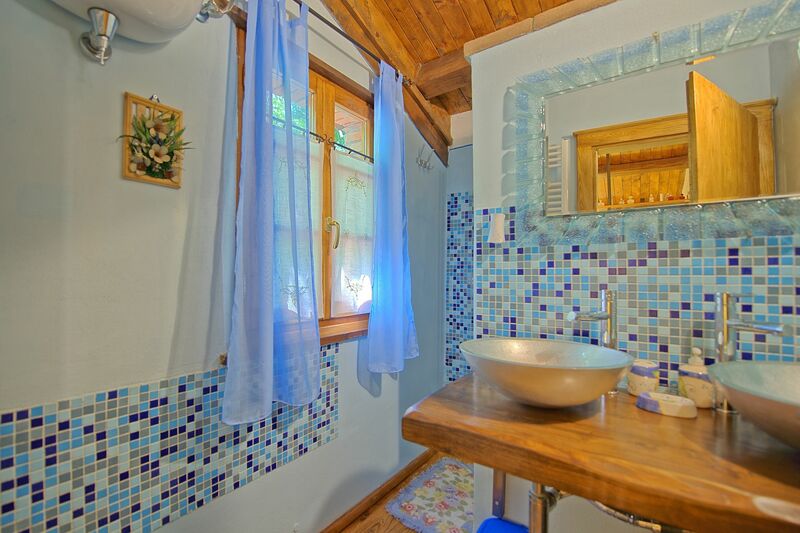 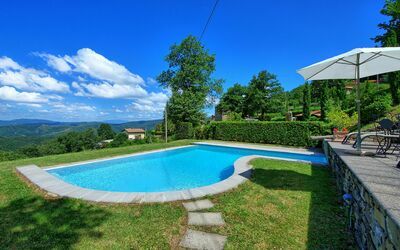 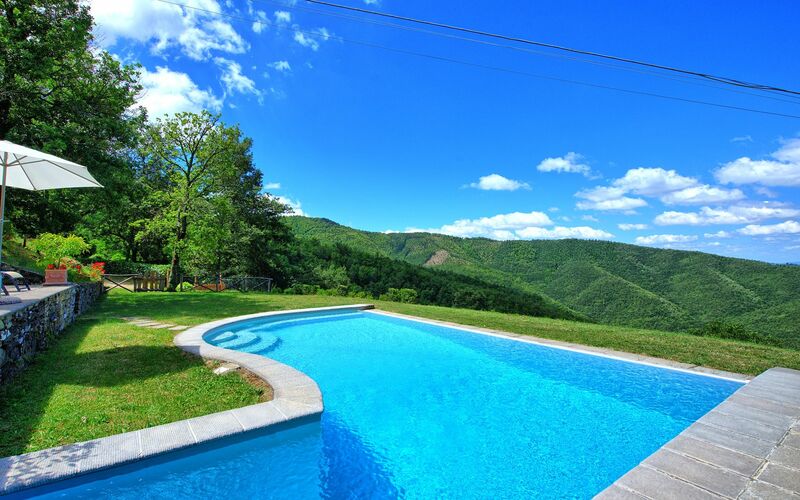 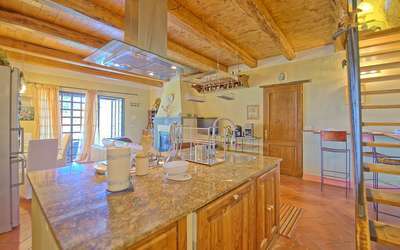 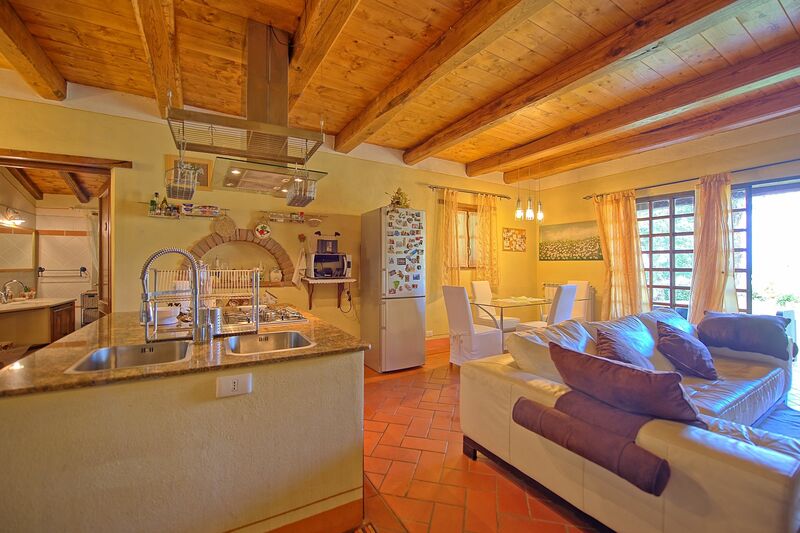 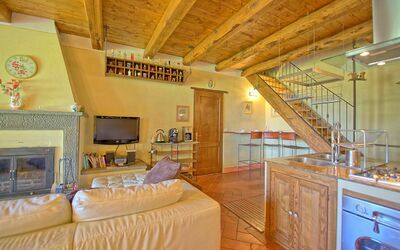 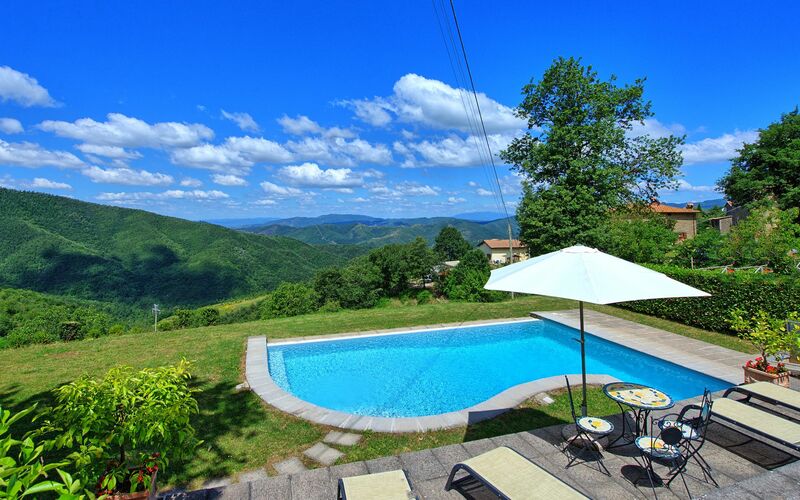 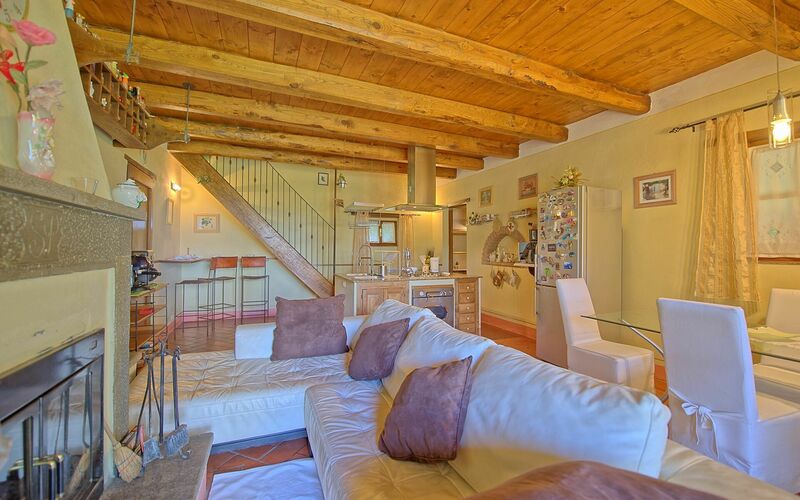 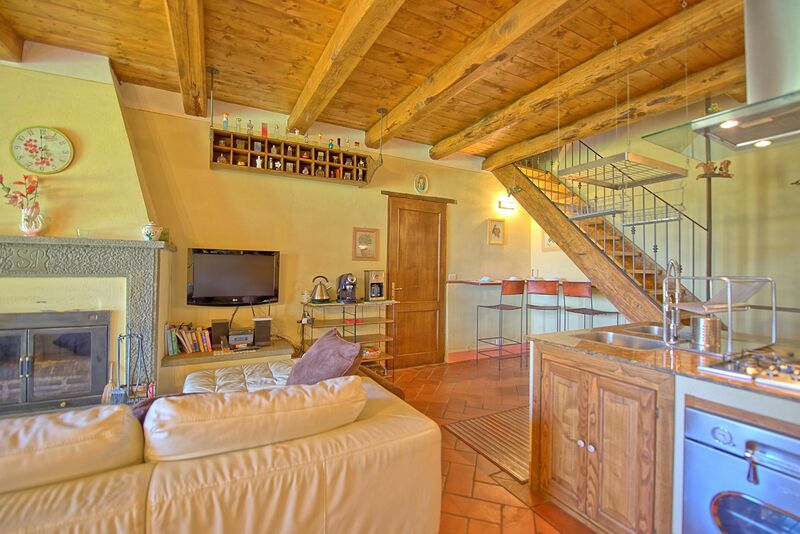 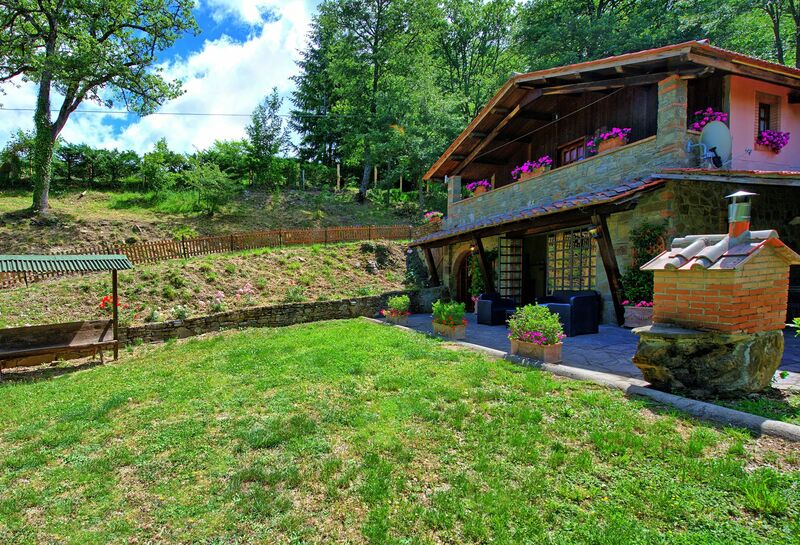 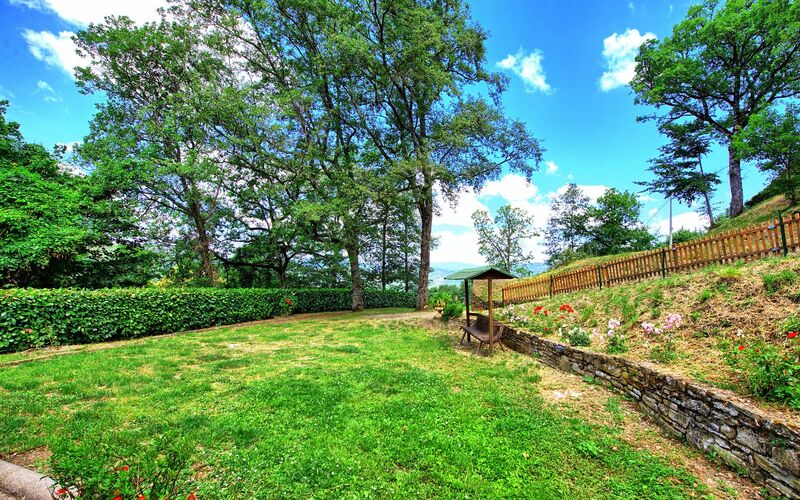 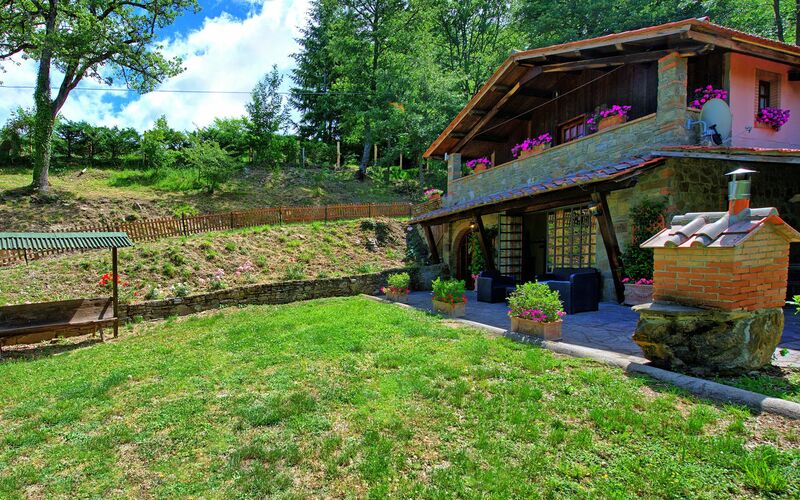 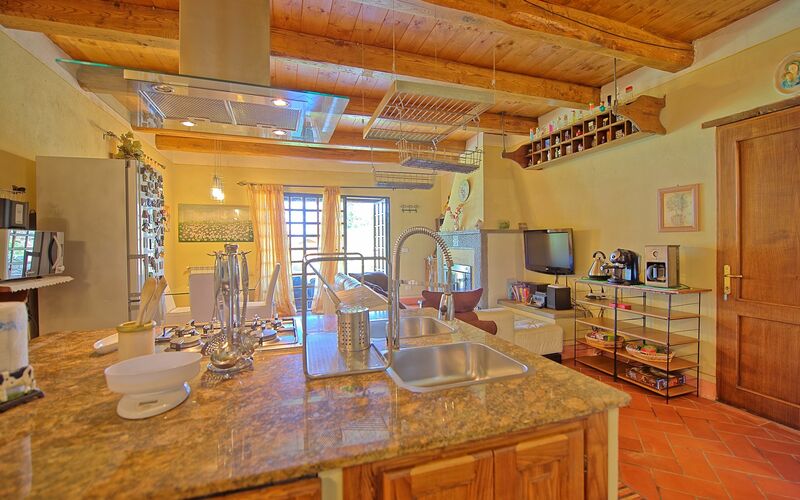 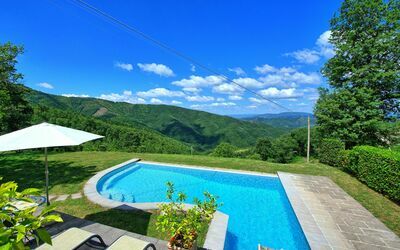 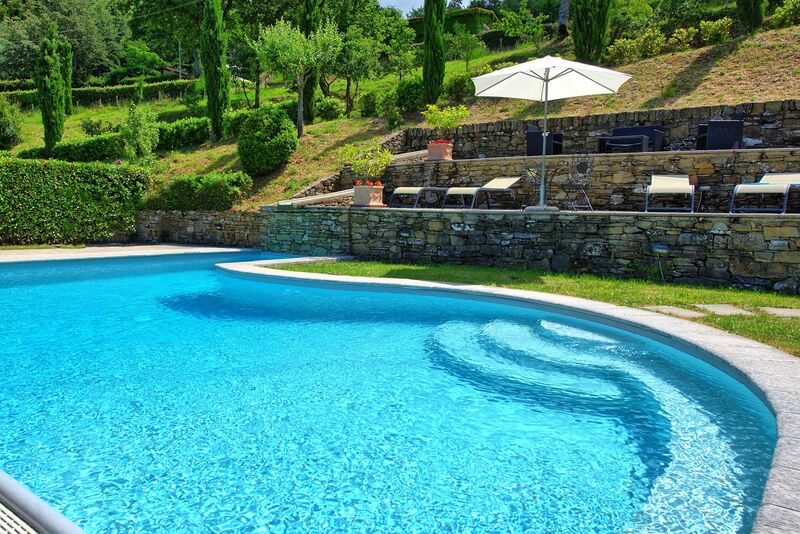 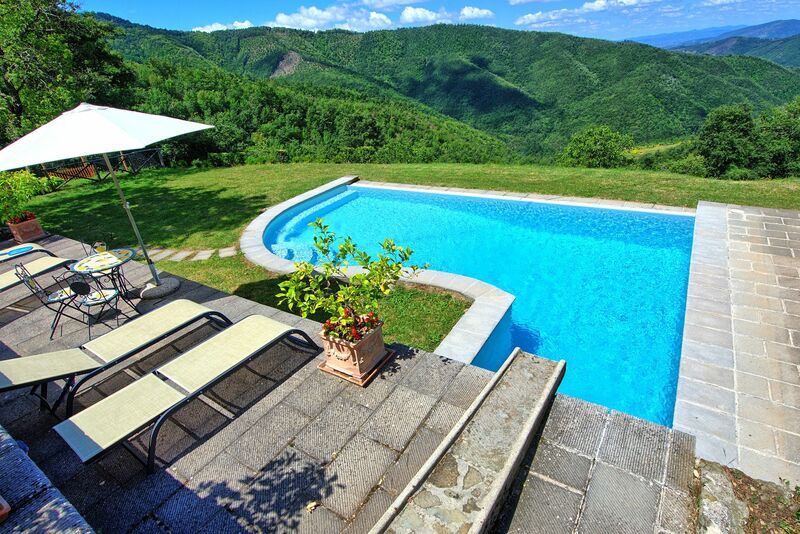 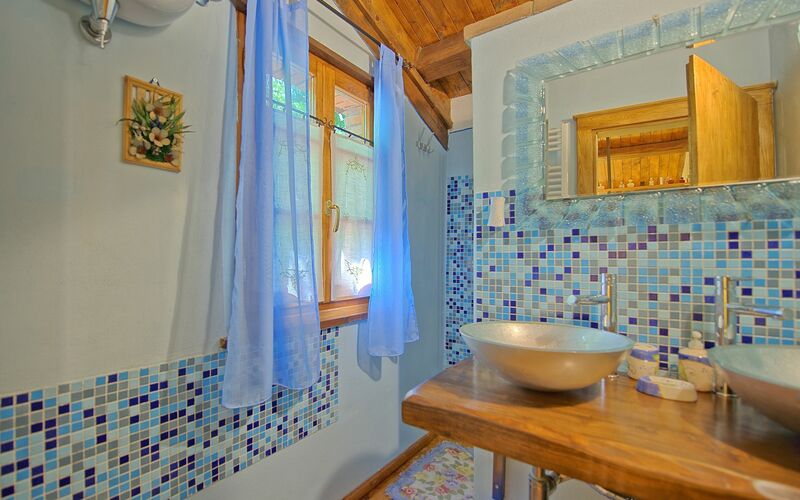 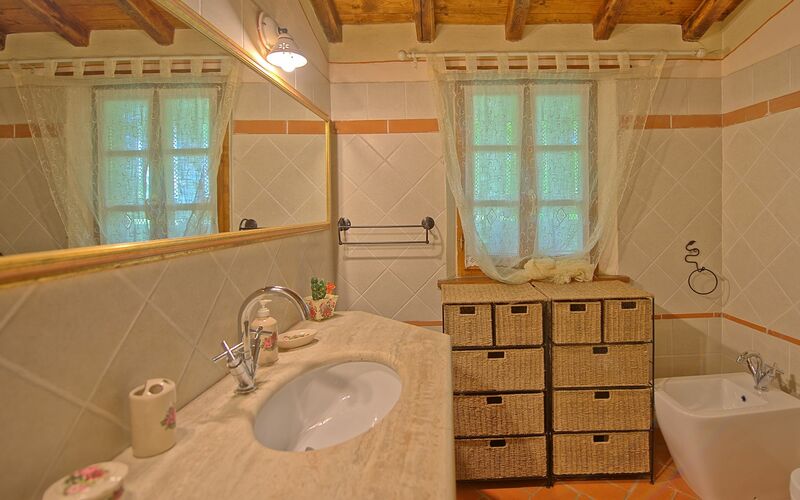 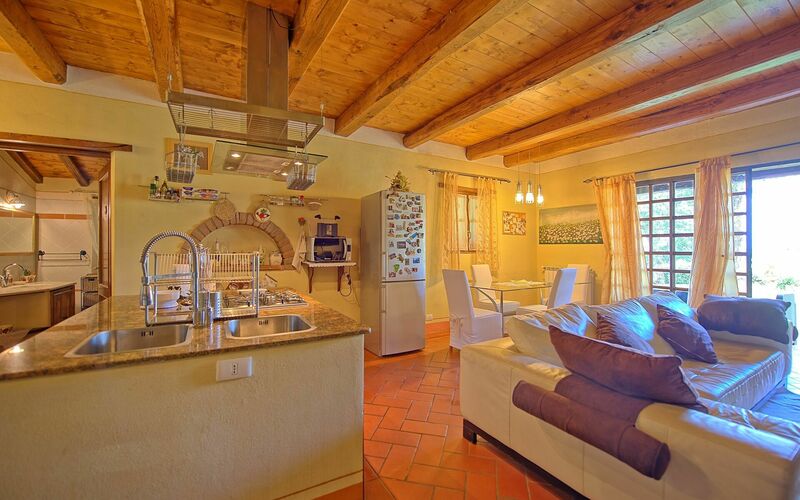 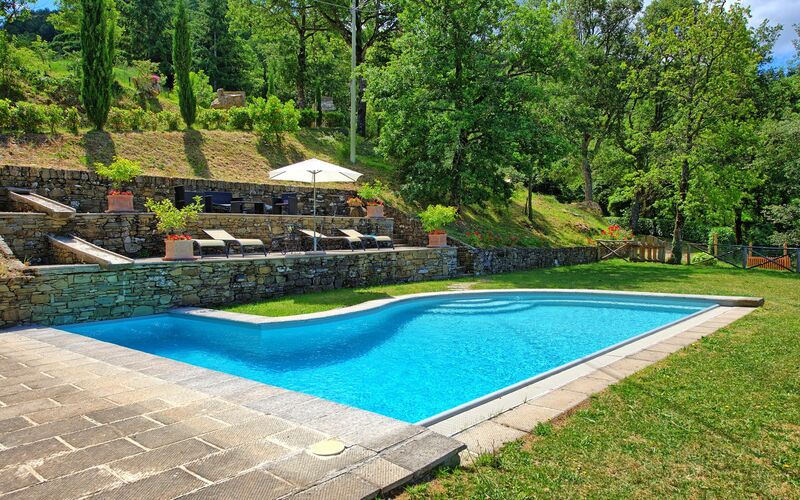 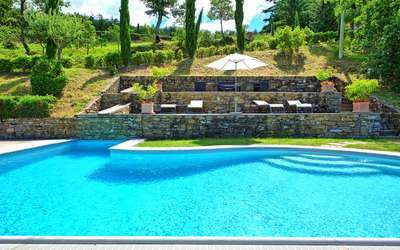 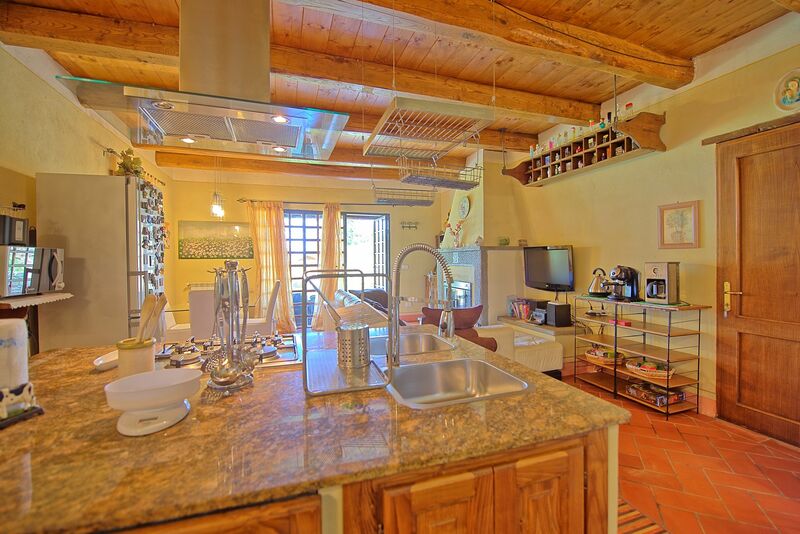 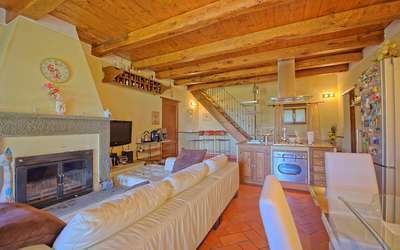 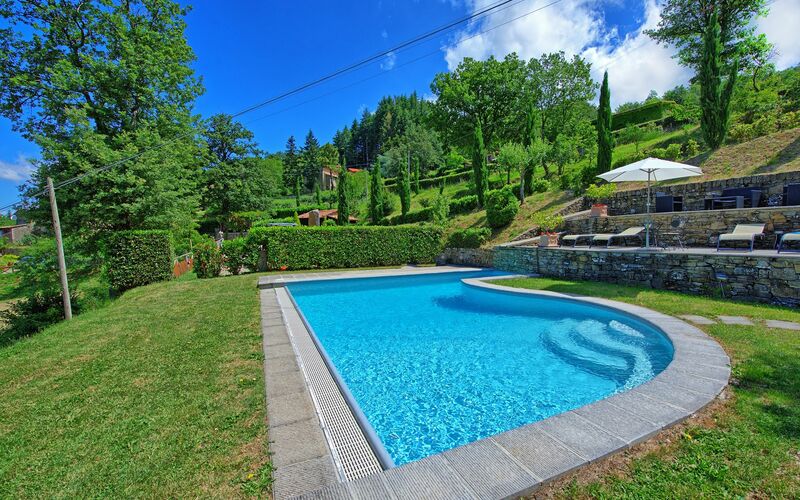 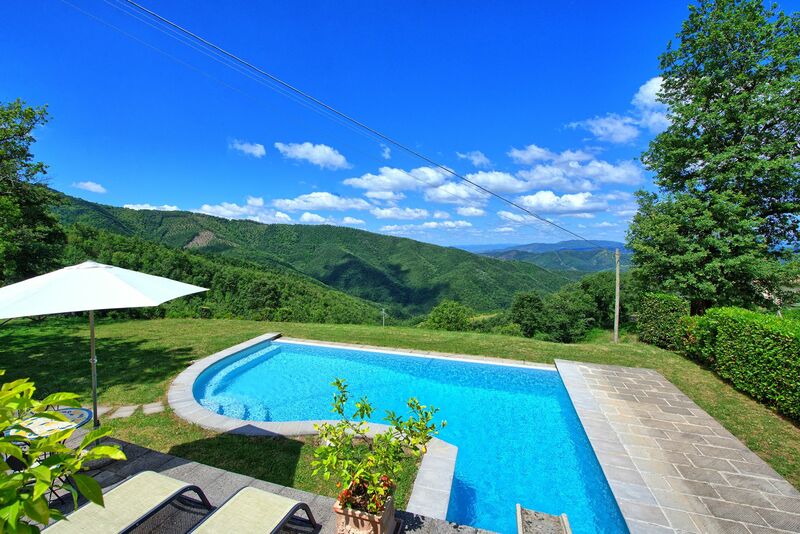 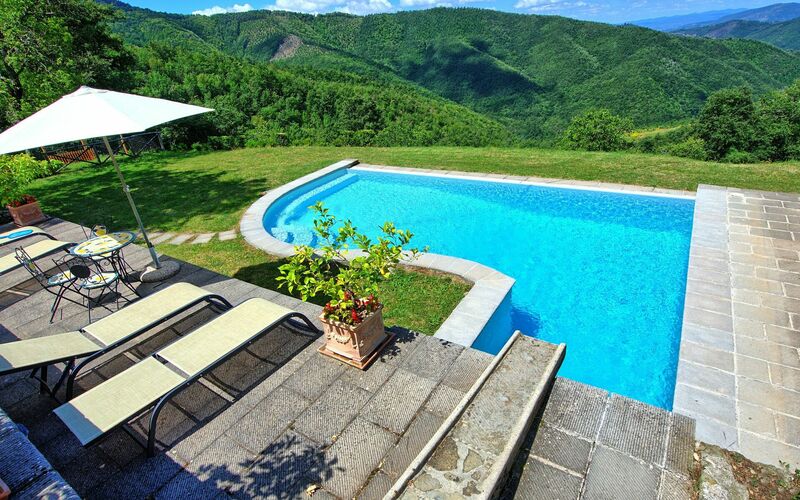 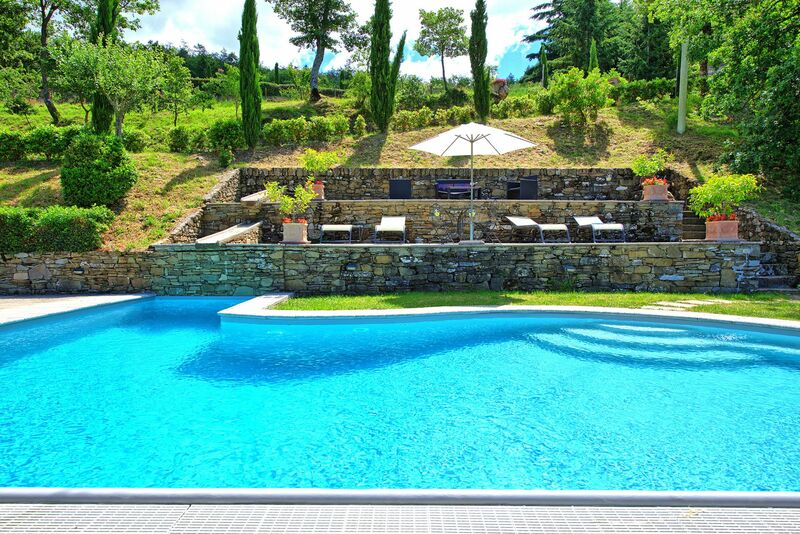 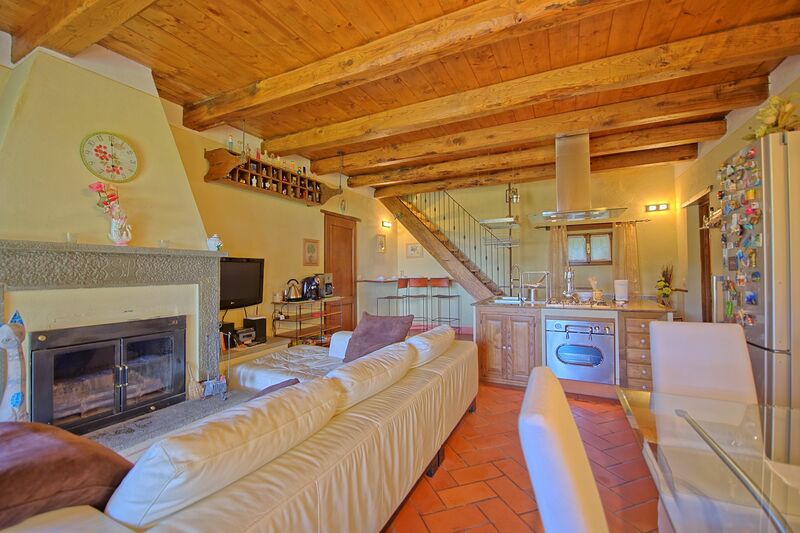 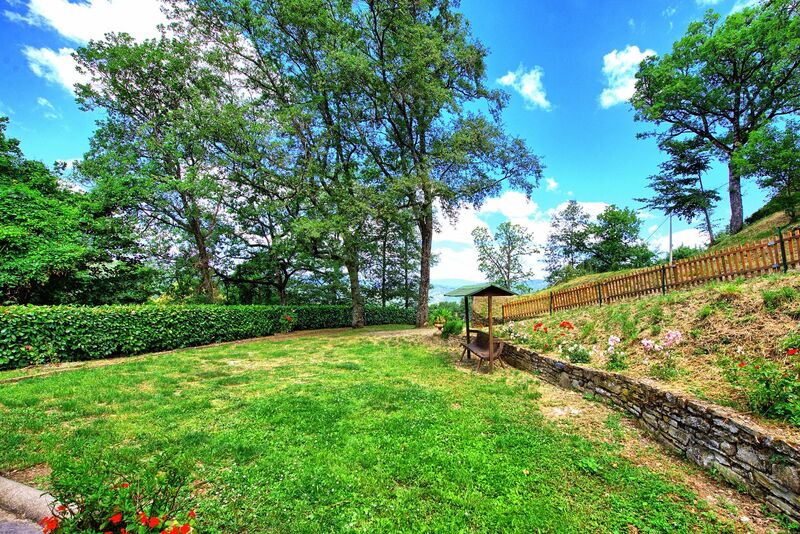 Charming independent villa with private swimming-pool situated in panoramic location, on the hills around the beautiful medieval town of Cortona, approx. 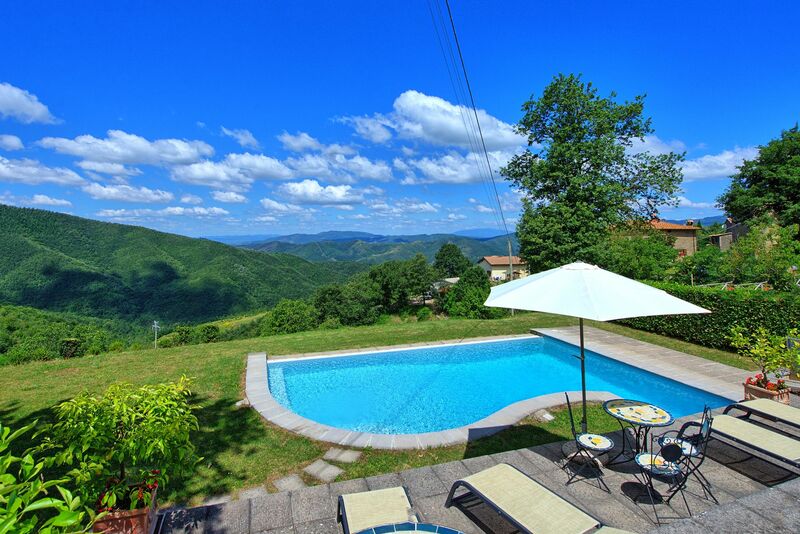 750 m above sea level. 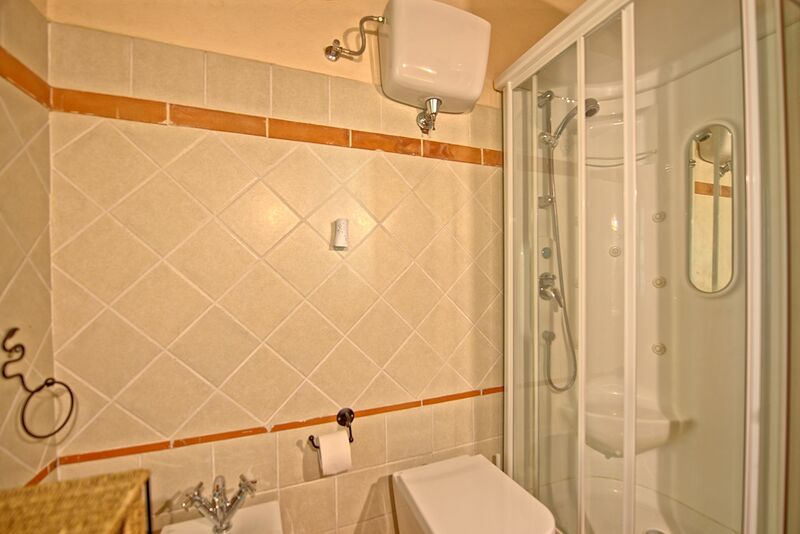 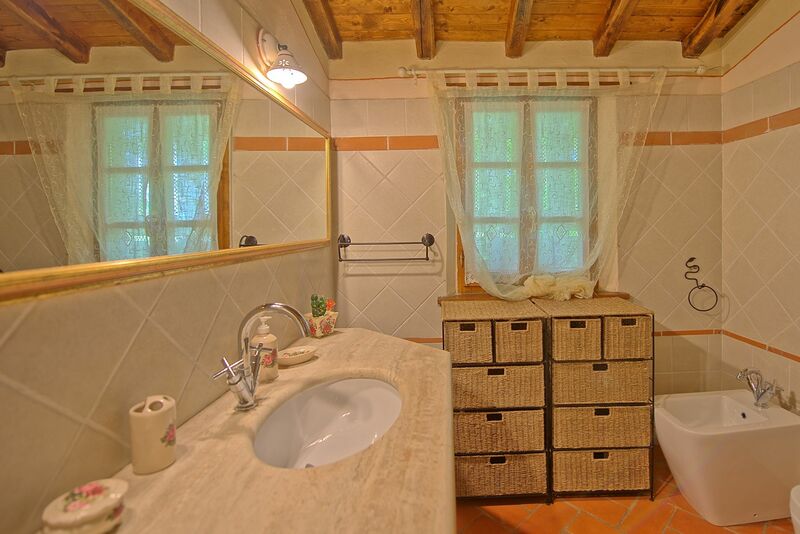 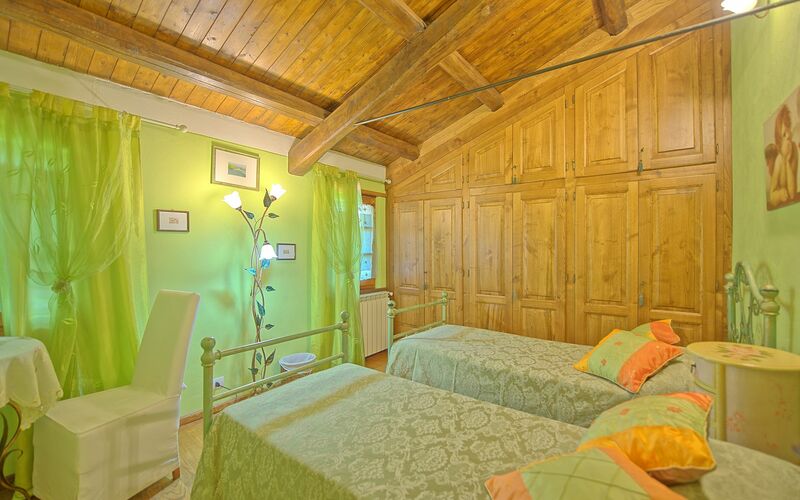 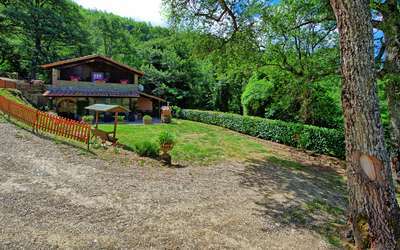 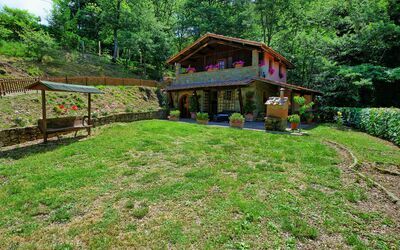 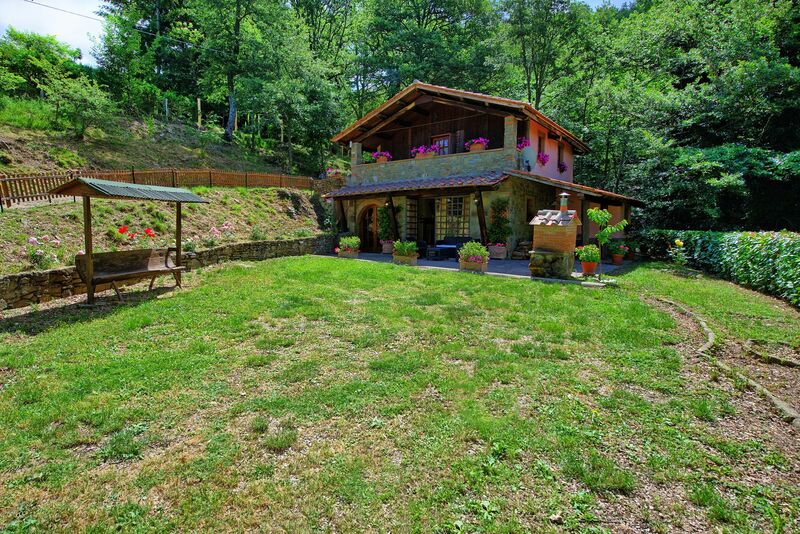 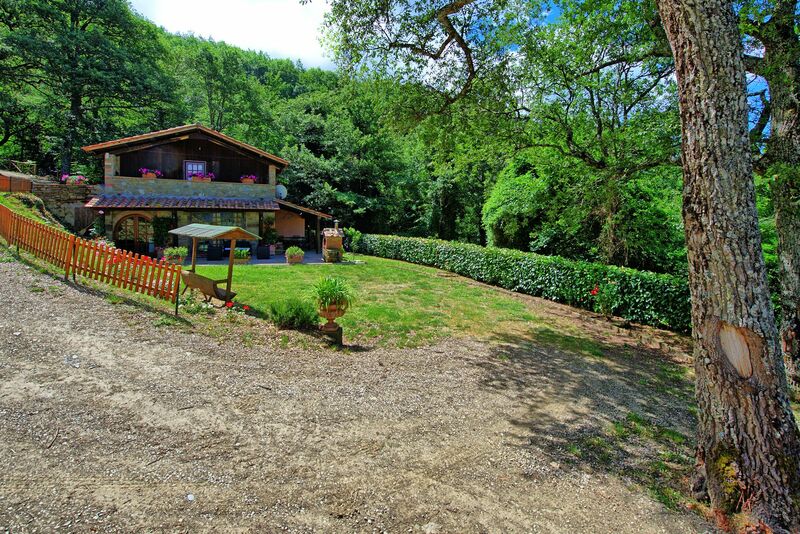 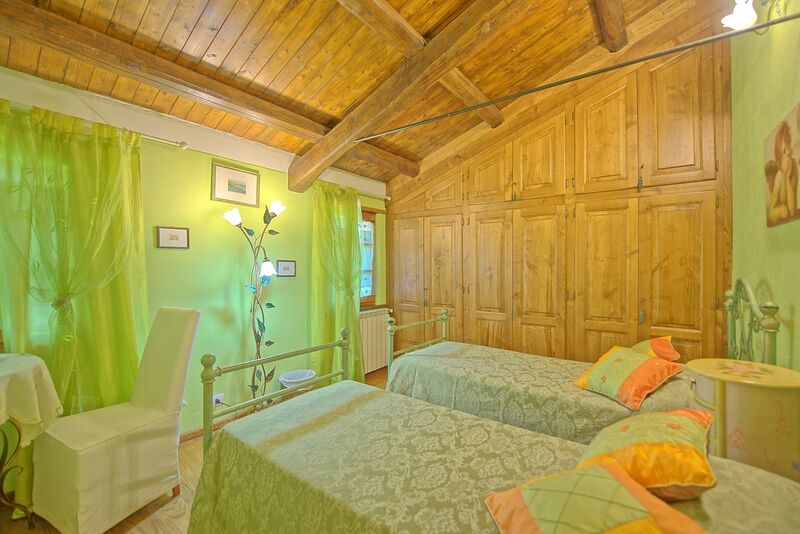 This property is surrounded by beautiful woods and offers tastefully furnished interiors and a cosy atmosphere. 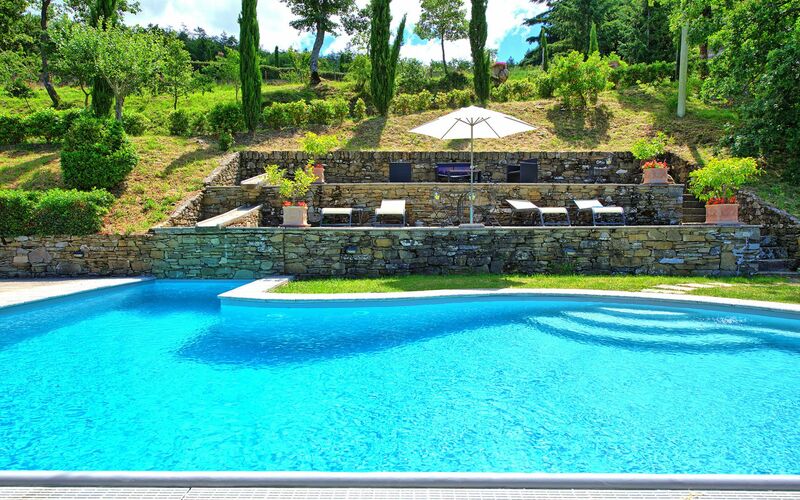 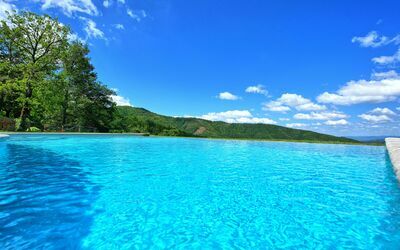 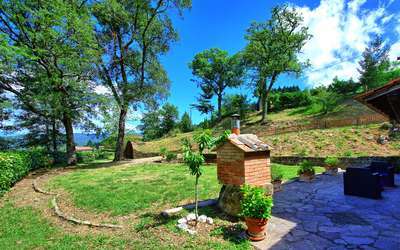 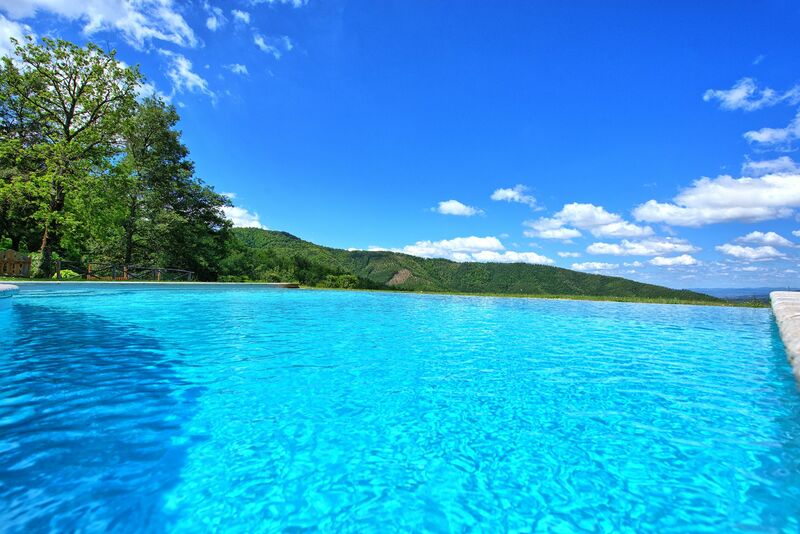 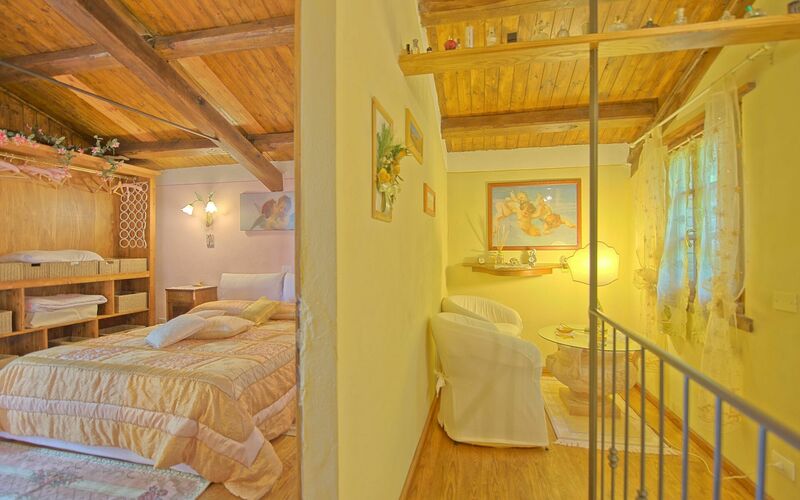 The location is ideal to enjoy the peace of the Tuscan landscape and at the same time to visit the most important historical cities of the area. Distances: the small village of Bagnolo with food shops 4 km away, Cortona with al kinds of shops 13 km, Città di Castello and Arezzo approx. 40 km. 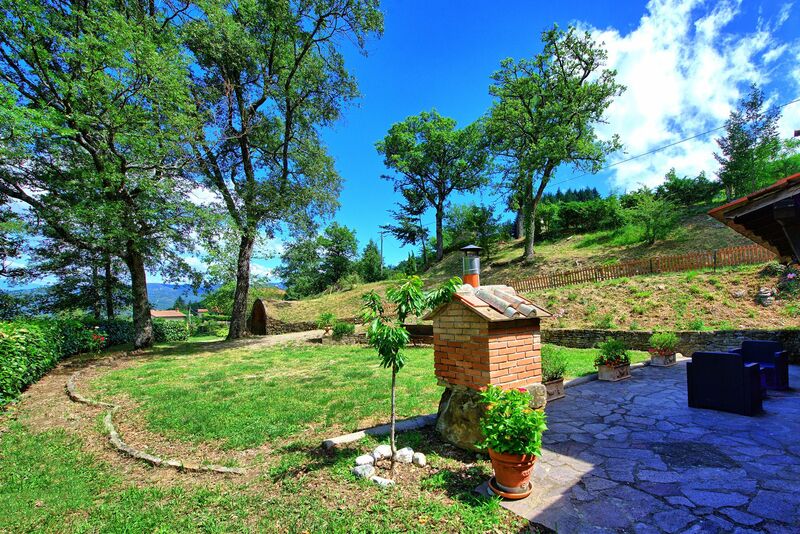 Lake Trasimeno is about 30 km away. 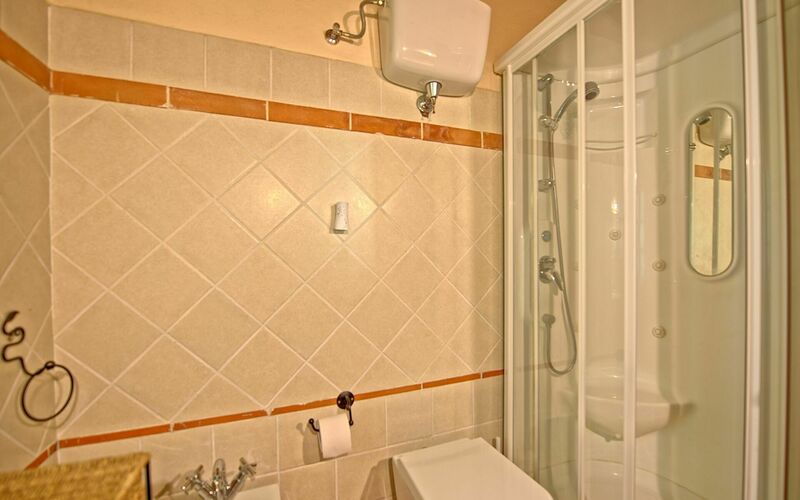 At guests’ disposal: furnished garden, beautiful irregular-shaped swimming-pool (ca. 7 x 14 m – maximum depth 2,4 m – open from 15/05 to 30/09), veranda equipped with tables and chairs for “al fresco” dining, barbecue. Use of a washing-machine and ironing facilities. Parking with the grounds. 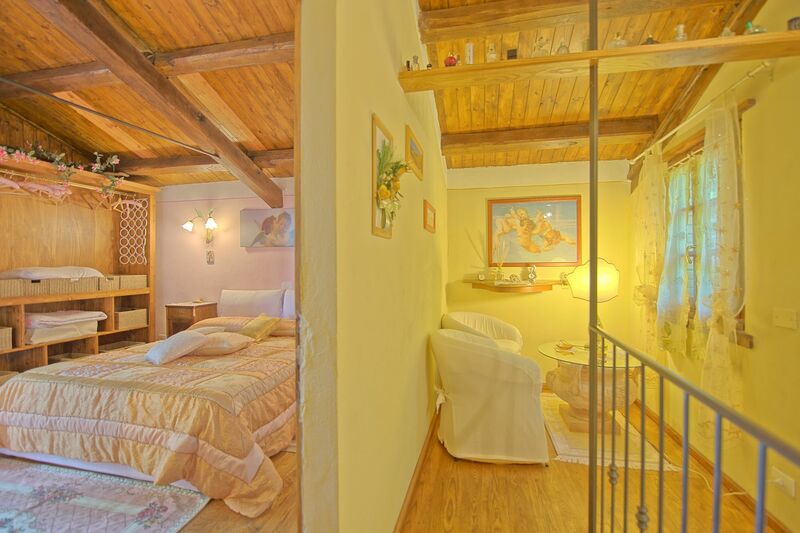 Extra Services: Baby bed available on request. 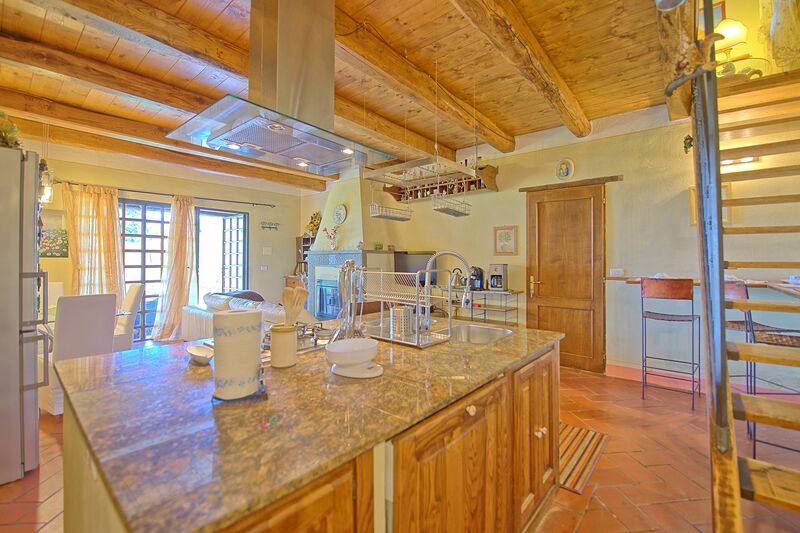 Upon request chef service available for nice Tuscan dinners. Ground floor: living-room (satellite TV) with fireplace, dining area and kitchen corner (oven, freezer, dishwasher), bathroom with shower (Jacuzzi and Turkish bath). 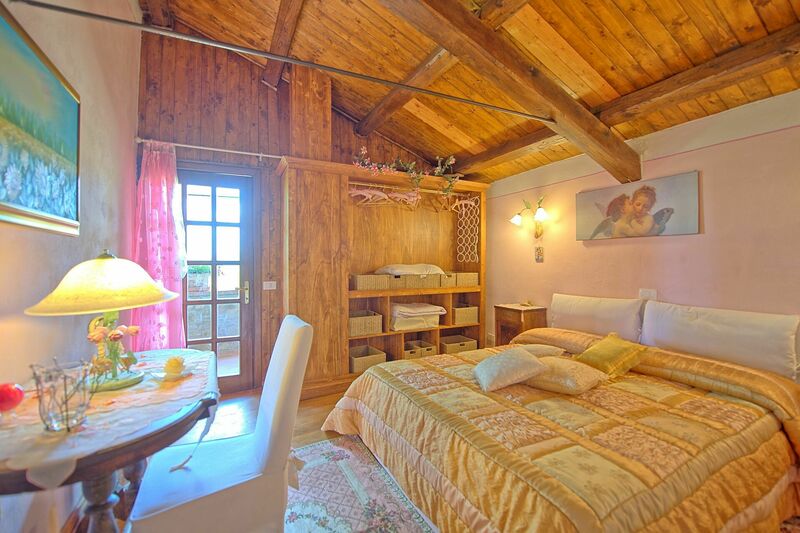 1st floor: reading area, twin-bedded room, double bedroom with access to a covered terrace, bathroom with shower. 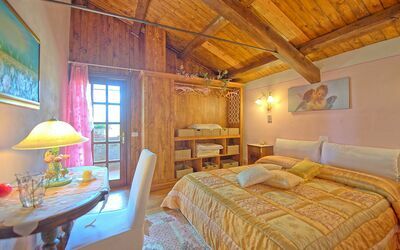 Local Tax: 2,50 € / per person/per day for the first 4 days of stay, not applicable to children under 12 years.